Mitsugi Saotome Shihan has guided Arizona Aikido for more than half of our 50 years of existence. He returns to Arizona Agatsu Dojo May 11-13, 2018, to help us celebrate our 50th anniversary! He is seen in this photo with Tsuneji Sakakibara Sensei observing a dan test on one of his many visits to Arizona. Please don't miss this opportunity to train with a direct student and uchideshi of O Sensei. 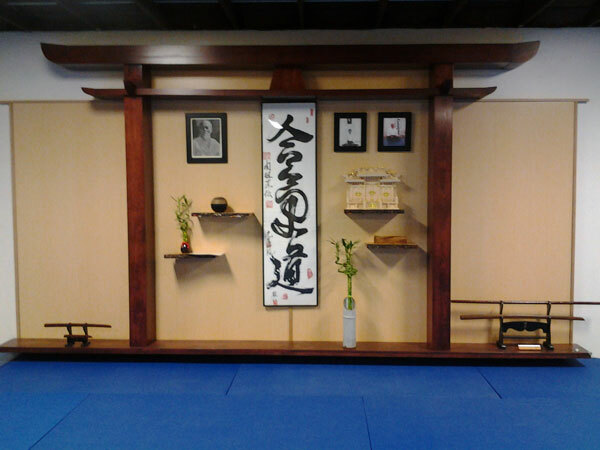 The seminar will be held at Arizona Aikido's Agatsu Dojo, 939 W. Camelback Rd., Phoenix, AZ 85013. Access to the dojo is easy via the light rail system. Exit at the 7th Avenue Station and the dojo is just a short walk to the west. The light rail is easily accessible from Phoenix Sky Harbor Airport via the Sky Train. There is plenty of parking at the dojo, as well. The dojo is immediately east of the 11th Avenue traffic light and bus stop on the south side of Camelback Road. May will be warm in Phoenix! If you'd like to check it, here's the Phoenix weather. Friday evening, May 11, 7:00 p.m. to 9:00 p.m.
Saturday afternoon, May 12, 3:00 p.m. to 5:00 p.m.
Sunday morning, May 13, 10:00 a.m. to noon. These seminars are all scheduled in the dojo. Information on schedules and costs will be available soon. Arizona Aikido Agatsu Dojo is proud to present our Annual Winter Seminar (pushed this year to April!) 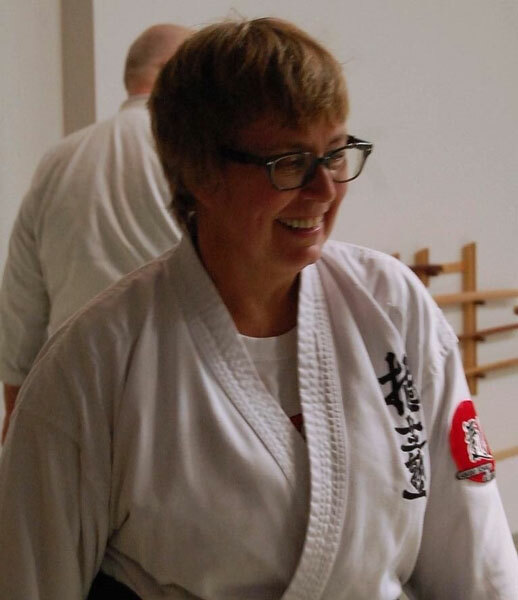 featuring Wendy Whited, 7th dan, Aikido Schools of Uenshiba, Inaka Dojo, Beecher, Illinois! 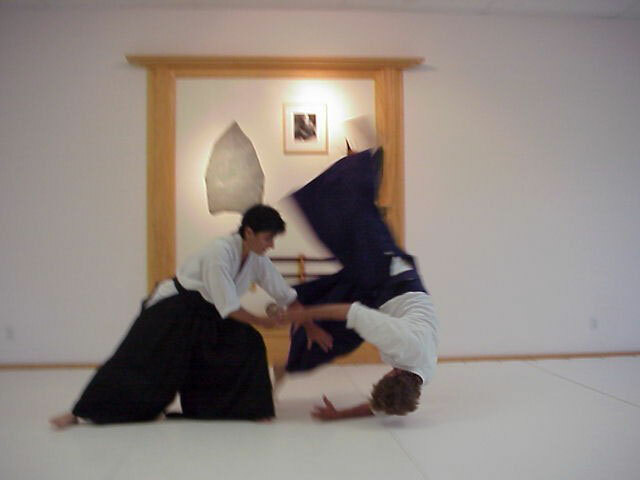 Whited Sensei has extensively studied Saotome Shihan's aikido, with its strong emphasis on both martial realism and the nurturing of inner peace. In 2015, Saotome Shihan awarded Whited Sensei her 7th degree black belt in recognition of the skill level achieved in her forty-five years of training. Her supplementary studies in Iaido, Judo, and Shorei Ryu Karate give her a well-rounded appreciation of the martial arts. As a retired teacher by profession, she brings a clarity of presentation to classes at Inaka Dojo, as well as to the seminars she teaches around the country as a senior instructor with Aikido Schools of Ueshiba. The seminar will be held at Arizona Aikido's Agatsu Dojo, 939 W. Camelback Rd., Phoenix, AZ 85013. Access to the dojo is easy via the light rail system. Exit at the 7th Avenue Station and the dojo is just a short walk to the west. There is plenty of parking at the dojo, as well. The dojo is immediately east of the 11th Avenue traffic light and bus stop on the south side of Camelback Road. April is a nice time to be in Phoenix! If you'd like to check it, here's the Phoenix weather. Cost for the full seminar is $100. Jamie Leno Zimron, 6th dan will be in Phoenix for a special seminar the evening of March 16, 2018. Please note! We made an error on the flier! The dojo address is 939 WEST Camelback Rd.! Arizona Aikido's Agatsu Dojo will be conducting beginning classes in the weapon arts of jo and bokken in the Japanese Friendship Garden - Ro Ho En - on Sunday, Nov. 5, 12, 19, 26, and December 3, 10 and 17, 2017, from 9:30 a.m. to 10:30 a.m. Classes are $20 each for non-members of the Japanese Friendship Garden. There is a $5 discount per class for members of the Japanese Friendship Garden. Please see the Japanese Friendship Garden Health and Wellness page for complete information and registration. Moylan Ryan Sensei and Vandell Ventura Sensei will facilitate a special class focusing on atemi and randori on October 14, 2017, starting at 12:00 p.m. Please take this opportunity to train! Fall Mountain Camp 34 is in the books! Arizona Aikido's Fall Mountain Camp 2017 is in the books! Thanks to Hiroshi Ikeda Shihan for a wonderful camp! Thanks, too, to all who attended! We began going to an annual camp in Prescott in 1984 after the death of our dojo founder, Jon Mamoru Takagi Sensei. Our then new Chief Instructor, Tsuneji Sakakibara Sensei, felt it was important for us to get away from the Valley and reconnect with our roots, to begin our recovery from the loss of our previous leader. Through the years, we have had the opportunity to train with many different senior instructors. Our first camp was focused only on local instructors – Sakakibara Sensei, Ralph Pfleger (Rafa Mithuna) Sensei, Tom Haines Sensei, Joel Levert Sensei, Ben Mancini Sensei, and Gene Nelson Sensei. 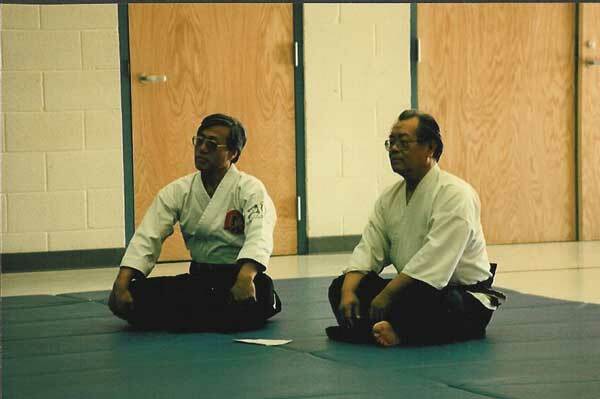 In 1985 we were able to host Fumio Toyoda Sensei from Chicago. He and Takagi Sensei had formed the Aikido Association of America and we were a part of that organization. Over the next year, Sakakibara Sensei decided that, with the consent of the dojo membership, we should return to a connection with Hombu Dojo in Japan. That was accomplished by affiliating with the United States Aikido Federation, headed in the Western Region by Kazuo Chiba Sensei who had also taken the name “Taiwa Kigen” Chiba when he became a Buddhist priest. That year, 1986, we had planned to have Frank McGouirk Sensei as our featured instructor. Because of a bit of poor planning on our part, our sister dojo in Tucson had planned to feature Frank Doran Sensei for a seminar on the same weekend. Realizing that trying to have both seminars would be a disaster for both of us, we asked the two Franks if they would mind doing a joint seminar in Prescott. That was acceptable to them, so that is what we did, held the first “Frank & Frank” Seminar. 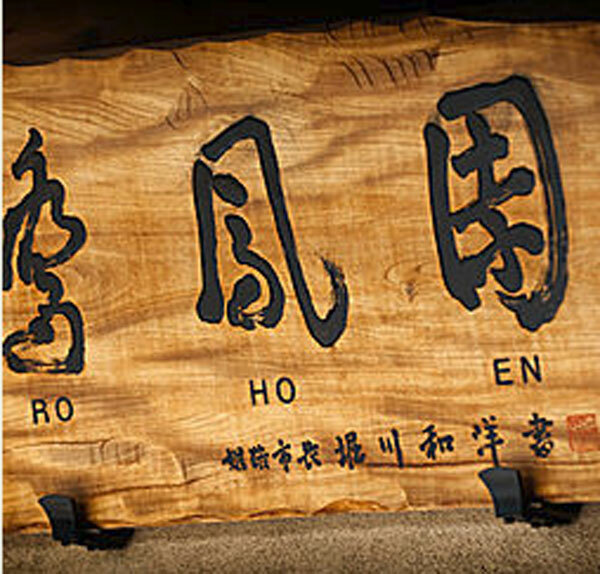 Over the years we know we’ve had other well-known sensei teach at Fall Mountain Camp – T.K. Chiba Sensei, Bruce Bookman Sensei, Coryl Crane Sensei, JoAnn Veneziano Sensei, Glenn Brooks Sensei. Within a few of years our beginning, we settled at Emmanuel Pines Camp with Hiroshi Ikeda Sensei as our featured instructor. Each year we held a Saturday night banquet at the Hotel St. Michael, with music and dancing. 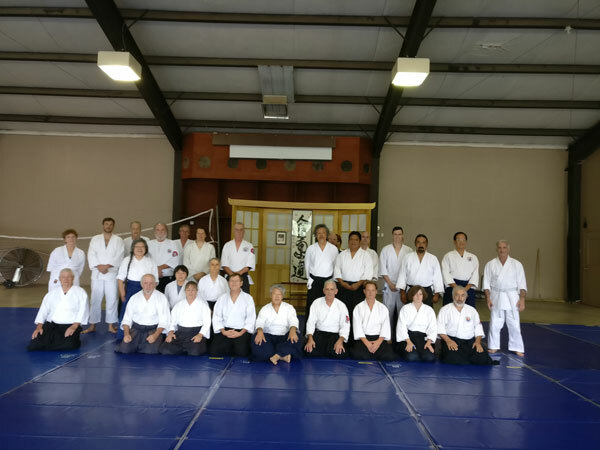 We evolved from Fall Mountain Camp to Fall Bridge Camp and added other instructors – 2009, for example, featured Mary Heiny Sensei, Tsuneji Sakakabara Sensei, Kirk Fowler Sensei, and Judith Robinson Sensei, in addition to Ikeda Sensei. In 2010 Mary Heiny Sensei returned, as did Sakakibara Sensei, along with Lia Suzuki Sensei, and Sifu Roger Fenneman. In 2012 George Ledyard Sensei joined us along with the instructors from 2011. In 2014 we returned to single-instructor format for camp, still featuring Ikeda Sensei. In 2015 we moved our Saturday night banquet from the Hotel St. Michael to a catered dinner in the dojo at Emmanuel Pines Camp. We did the same in 2016, but in 2017 we moved the banquet back into Prescott at the Gurley Street Grill. That brings us to the conclusion of our Fall Mountain Camp. We have decided that this camp no longer works for us in the manner we had envisioned, so 2017 was our last camp! We plan to continue our very long relationship with Hiroshi Ikeda Sensei, who will be back with us in December 2018 in Phoenix. Please watch for details of this seminar. Thanks to everyone who has supported us over the years as we trained each September in Prescott! We hope you’ll continue to support our dojo as we move forward! Arizona Aikido's annual Fall Mountain Camp will be held at Emmanuel Pines Camp in Prescott, Arizona, the weekend after Labor Day, Thursday evening, September 7 through Sunday noon, September 10, 2017. Our featured instructor is Hiroshi Ikeda Shihan. Some sessions may be taught by local Arizona senior instructors. Information on cost and online registration are available here. Download a map of Emmanuel Pines Camp. If you need transportation from the airport to Prescott, check with us first. If we can't find a ride for you, check airport shuttle services here. Rental cars are also available at Sky Harbor International Airport in Phoenix. If you are staying at Emmanuel Pines Camp, you will need a sleeping bag or sheet, pillow, blanket, towel and your toiletries. We have a limited number of linens available for an extra fee of $10.00. Or you can look for other lodging in Prescott. Please note that Emmanuel Pines Camp is not within walking distance of any lodging in Prescott. Please bring your jo and bokken. We do have a limited number of weapons for those who are unable to bring their own. Information about Emmanuel Pines Camp. The camp does not have information about this seminar, so please do not contact them about it. Directions to Emmanuel Pines Camp. Many people take the opportunity while at camp to check out historic Prescott. Whiskey Row is a popular area that is easily accessible on Friday evening or on Saturday evening after the banquet. Additional information about Prescott is available from the Prescott Chamber of Commerce. The Grand Canyon is about 130 miles from Prescott, a 2.5 hour drive, and is also a popular spot to visit while you are here.